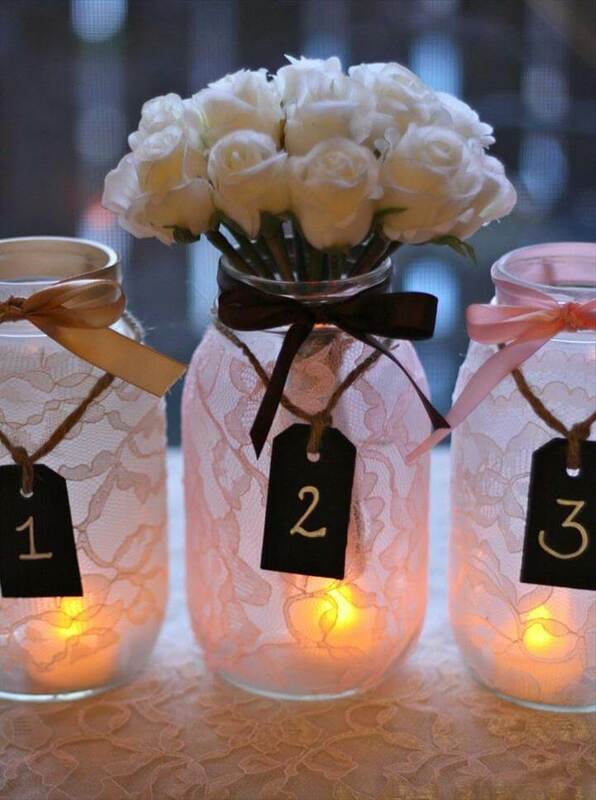 Wedding is the biggest day in one’s life and everything is planned with perfection so that nothing goes wrong. 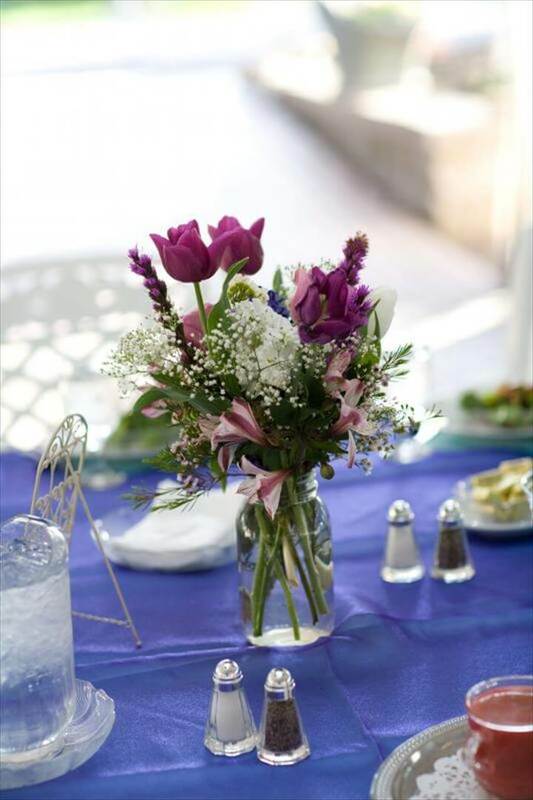 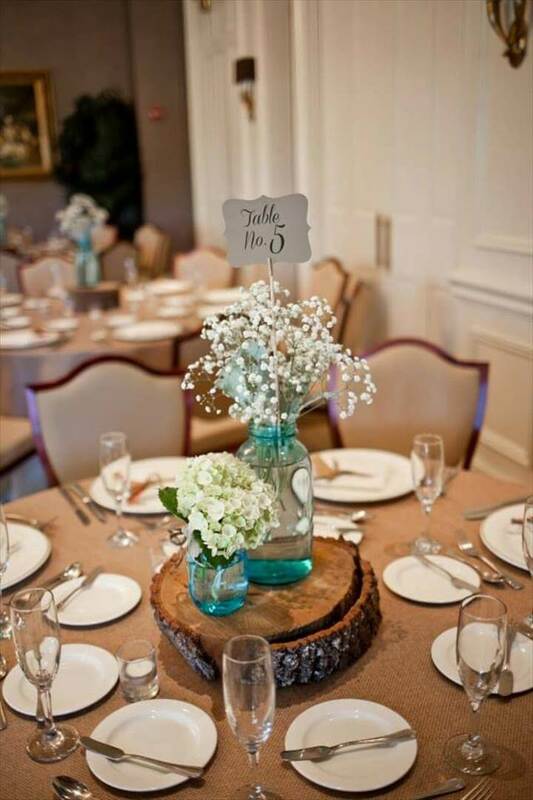 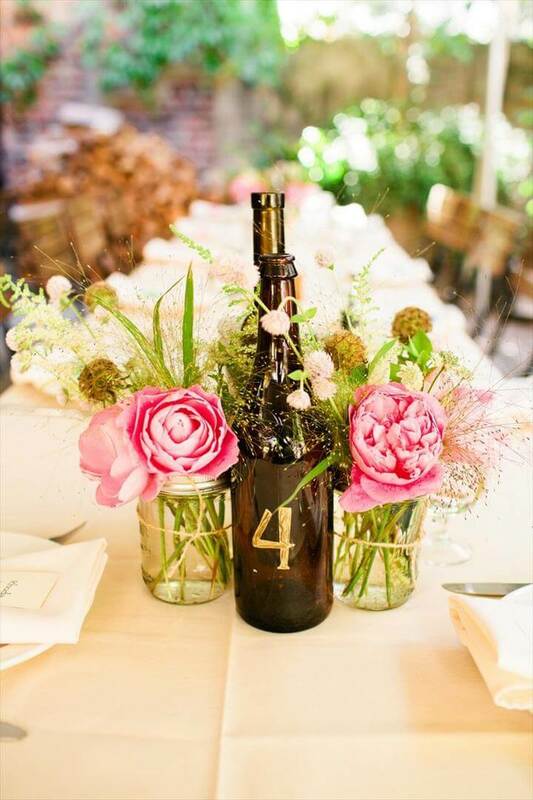 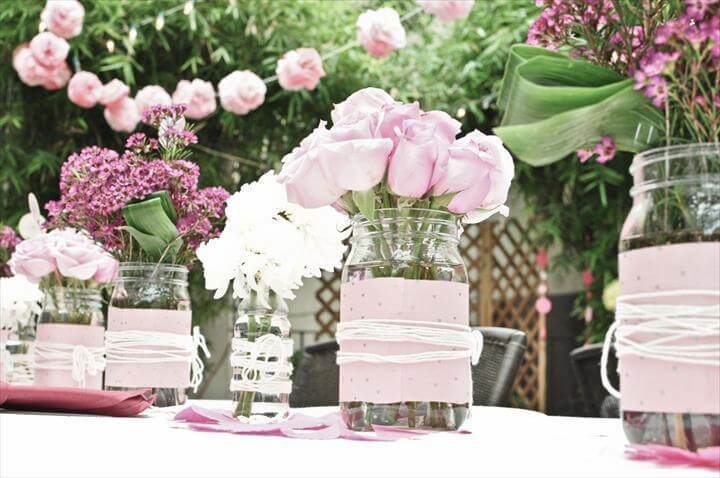 And decor is one of the basic tasks for a wedding and mason jars can really help you in this regard. 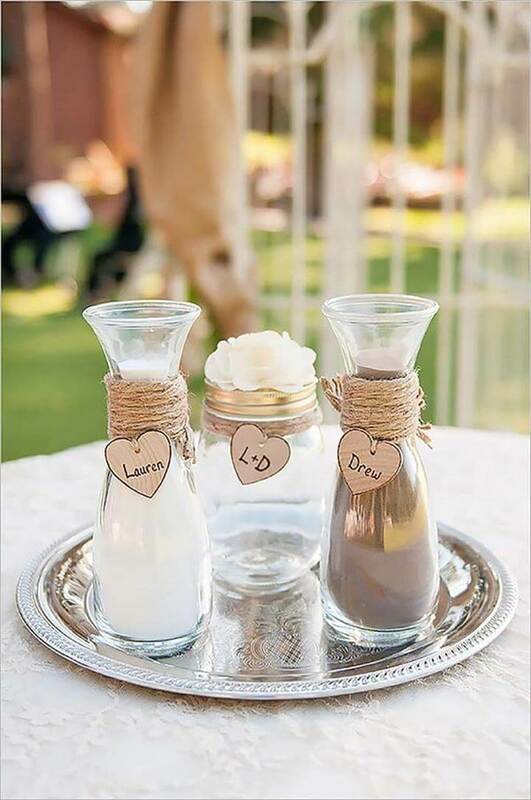 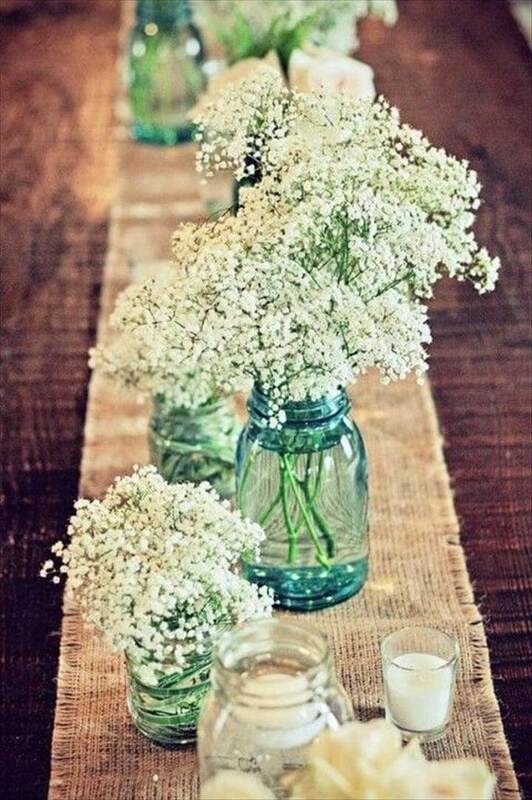 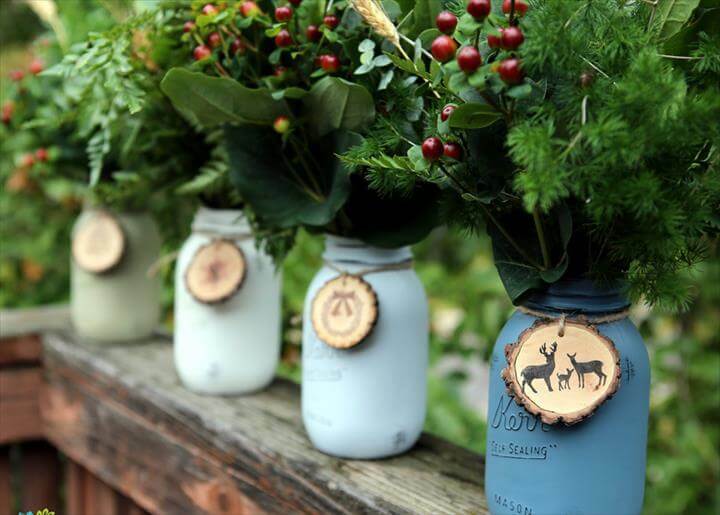 Cheap, cute looking and versatile the mason jars offer an infinite possibility to undergo the wedding decor crafts. 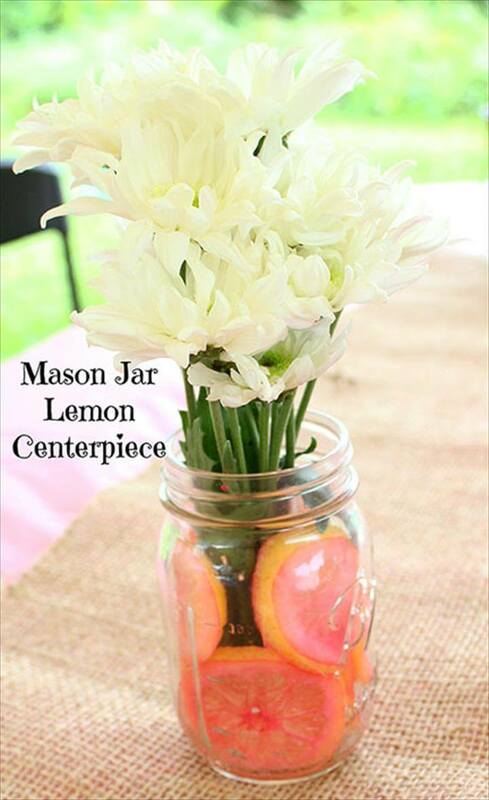 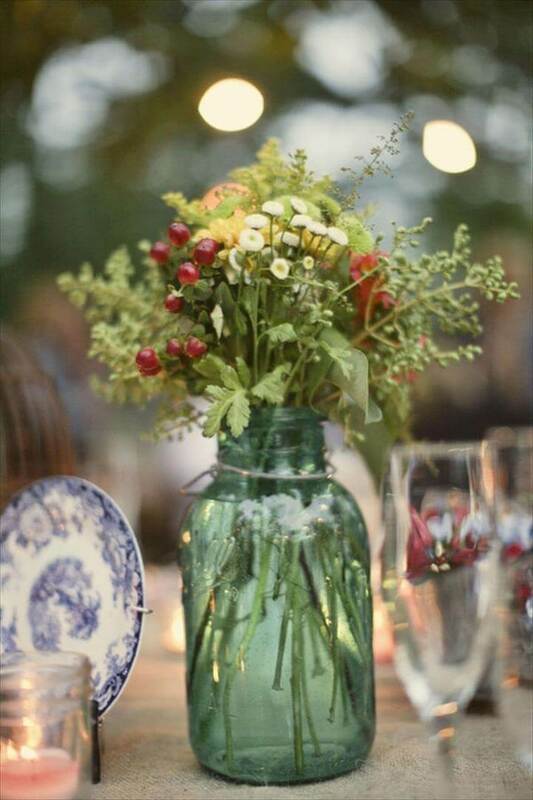 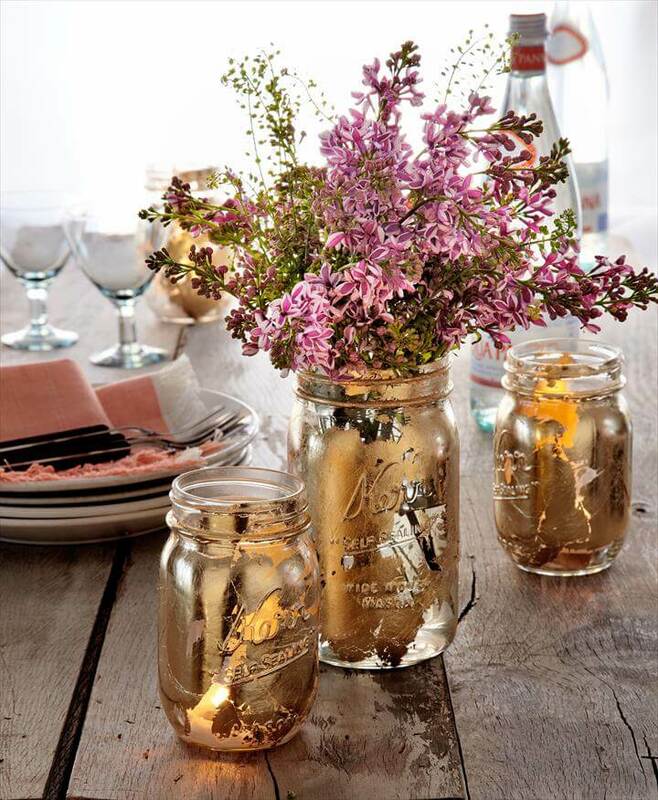 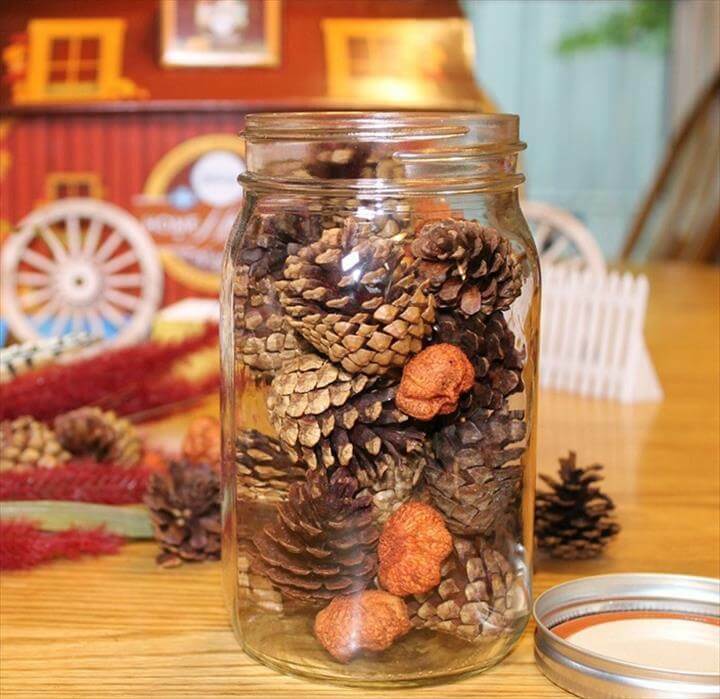 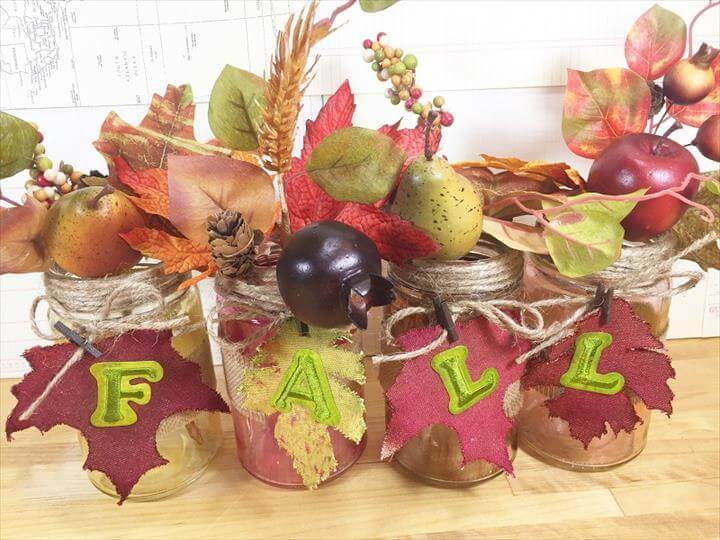 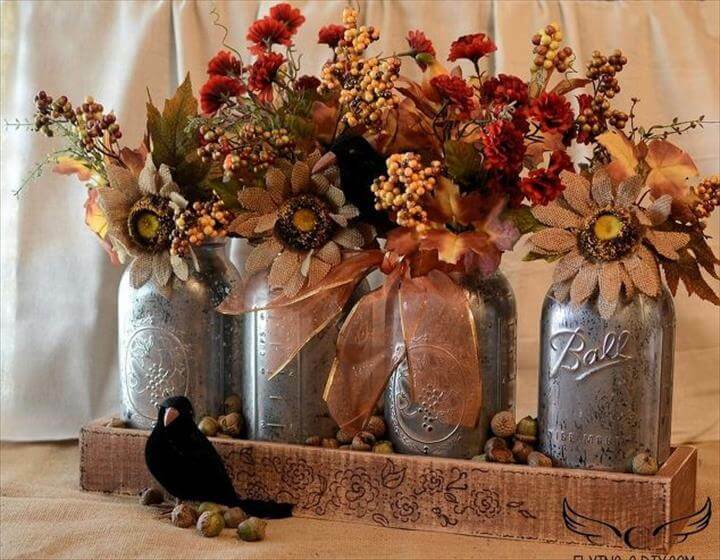 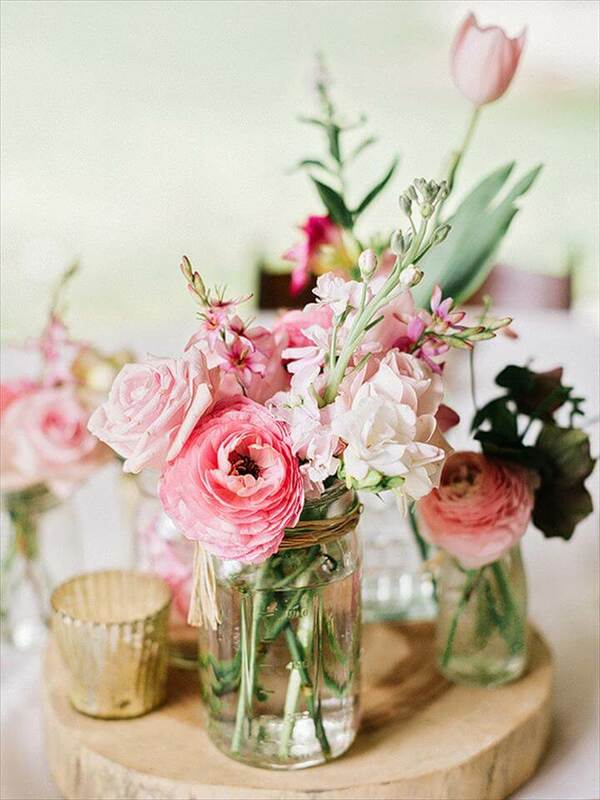 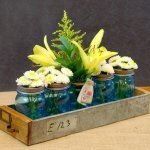 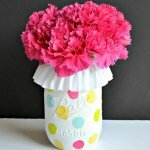 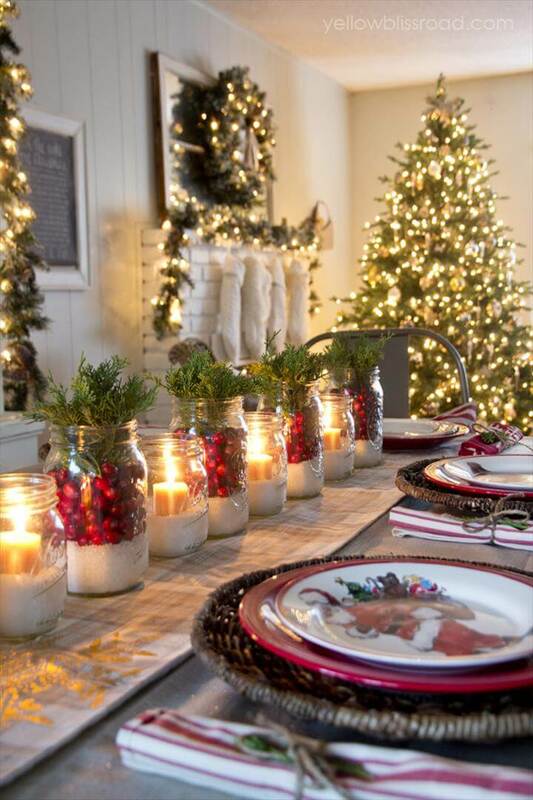 Especially the best ever centerpieces can be made with these lovely mason jars with a little handy effort. 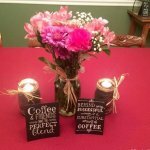 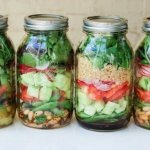 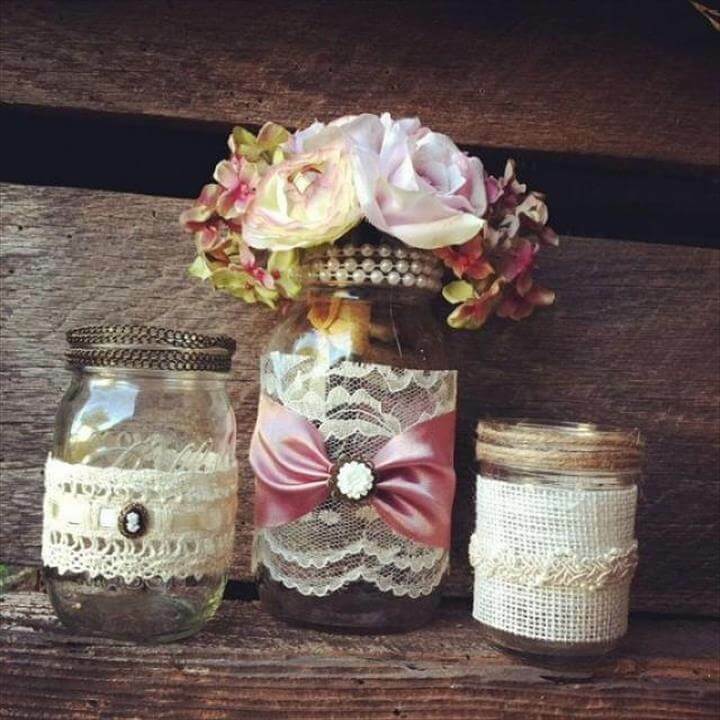 To provide you a bunch of the ideas and plans in this regard we have formed a collection with the name DIY 25 wedding or party decor Mason jar ideas. 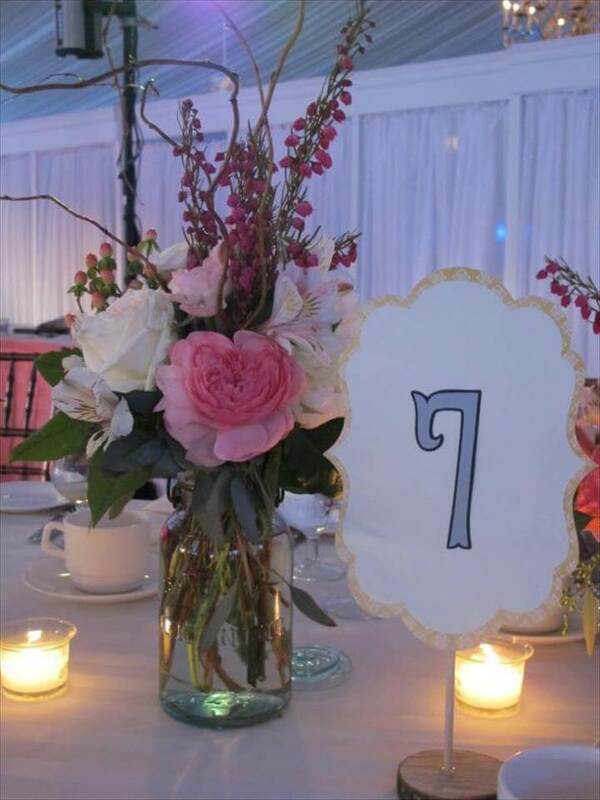 You would be amazed to gaze at the gorgeous centerpieces in the collection and cannot help yourself trying them. 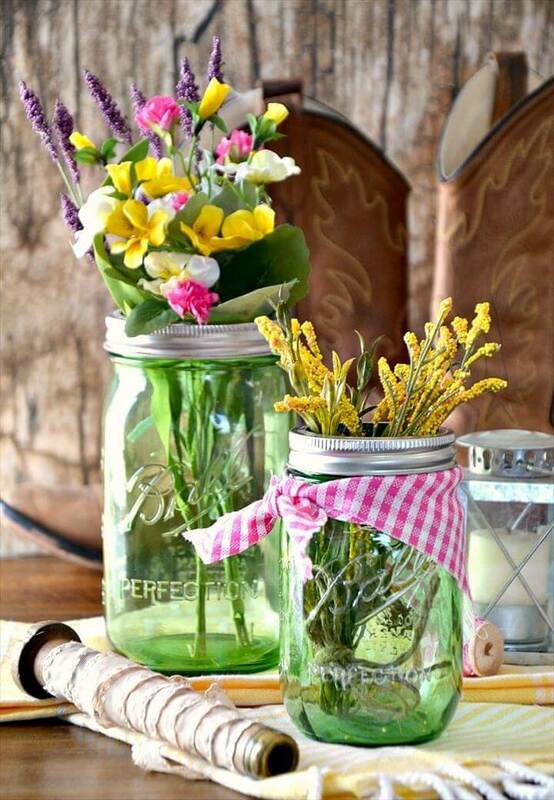 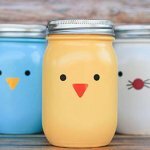 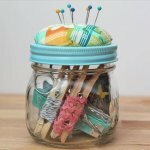 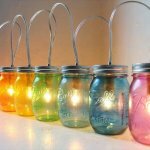 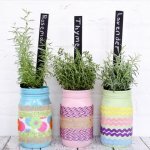 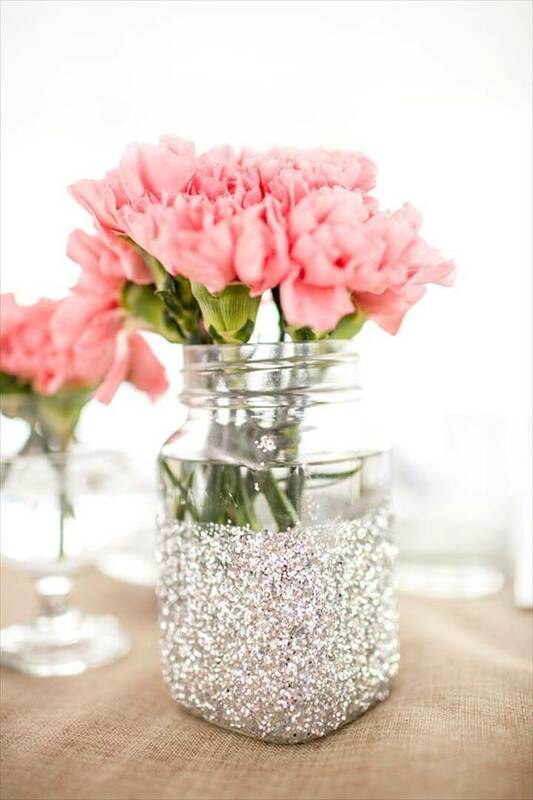 To style up the empty Mason jar you have lots of options to choose from like painting, glittering, dipping and dressing them up with colorful ribbons, laces and twines. 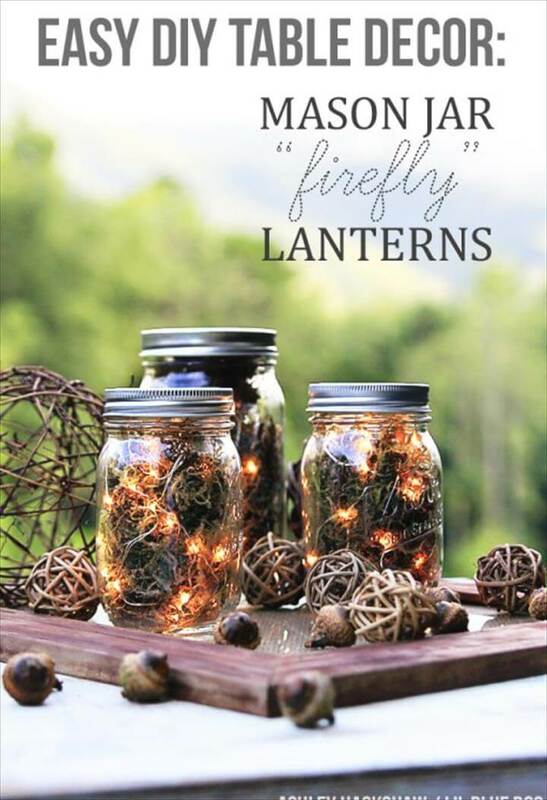 So is the variety of the things to fill them up like flowers, tree branches, stones, lights, cones etc. 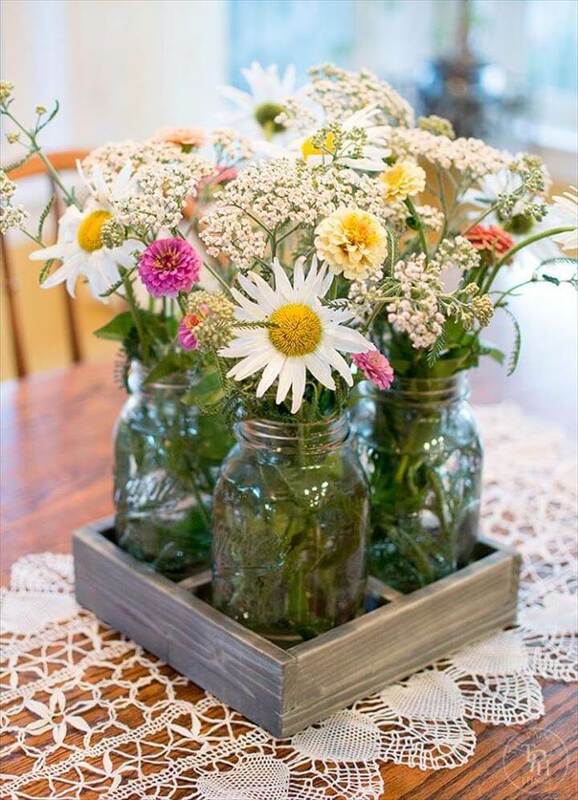 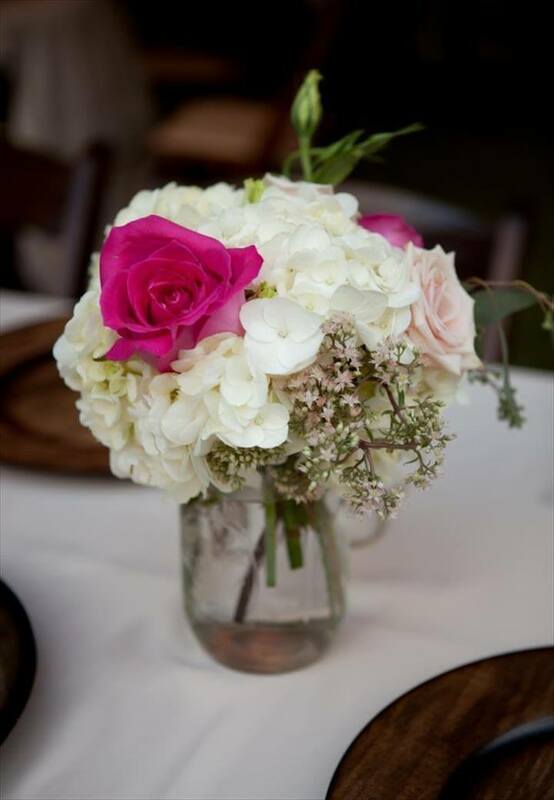 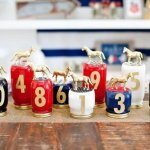 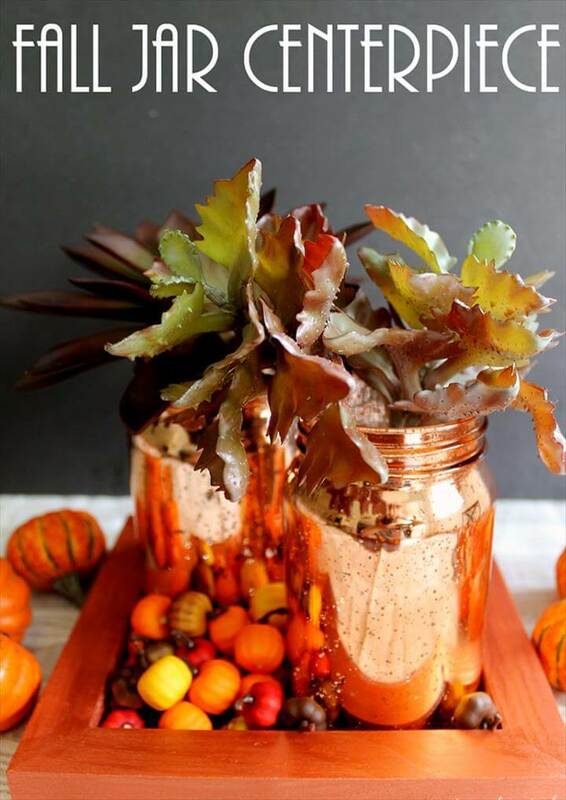 Rustic, chic, vintage no matter which theme or style of decor you are opting for you can find each matching Mason jar centerpiece from the following round up. 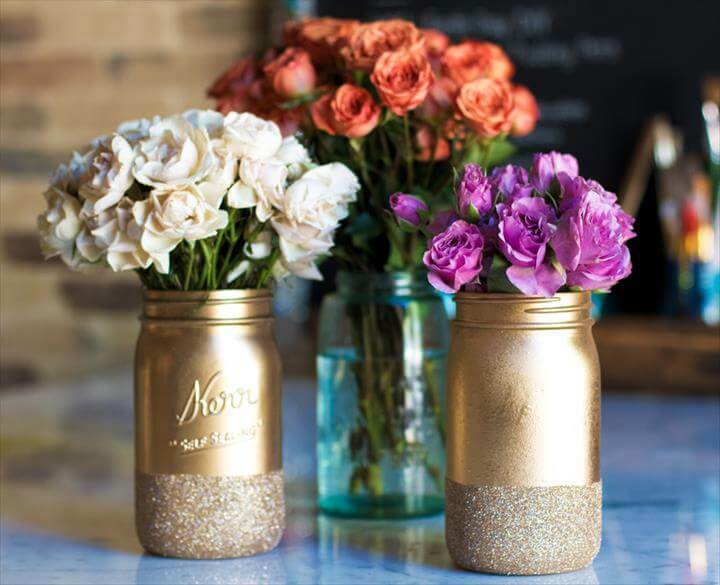 so head to a thrift store to get a bunch of the mason jar if you are going to married or throwing a party to get your decor done nicely and cheaply.